As South America is in the southern hemisphere, when it is winter in the northern hemisphere, it is summer in South America. Do you want to escape the cold of the winter months with a Peruvian trip? That might be just what you need to escape the winter blues and here we will give you the best things to do in Peru on a winter escape vacation on your luxury Peru tours. Advantages of coming to Peru in the South American summer is that it is low season and also rainy season in some parts of the country. The means that there are less tourists visiting the major attractions in Peru, which also means more hotel rooms with better prices, less lines and waiting times at the important ruins and sacred sites, making the whole experience more enjoyable. If you plan to do the Inca Trail there is more chance that you will secure a ticket to the trail as in the high season you need to book many months in advance. During the low season, the trail is mostly in silence and you can take your time and not worry about the crowds coming behind you. The best time to do the Inca Trail in the low season is March or November, but also remember in the highlands of Peru the trail will be wet so remember to take your wet weather gear. When in Peru you must travel to Machu Picchu. In the high season, you will experience long wait times at the entrance to the ruins. 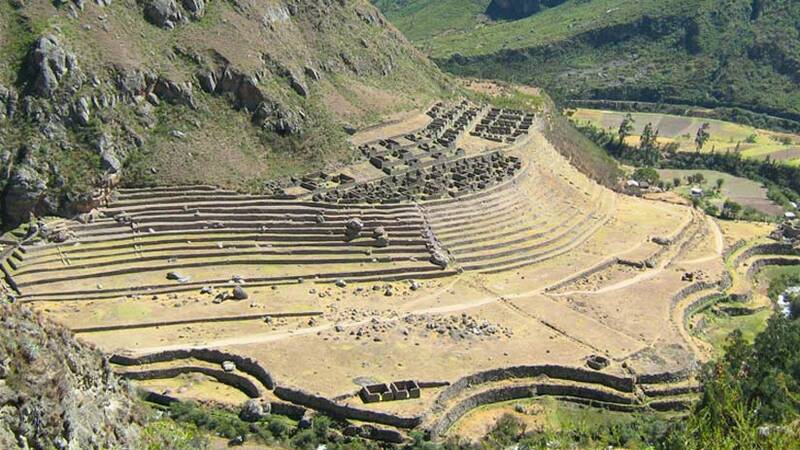 During the wet season or summer in Peru, the crowds are less and you will get to experience the ruins more peacefully. Will it rain you may ask, yes I does rain everyday but that will be for an hour or so and not all day. 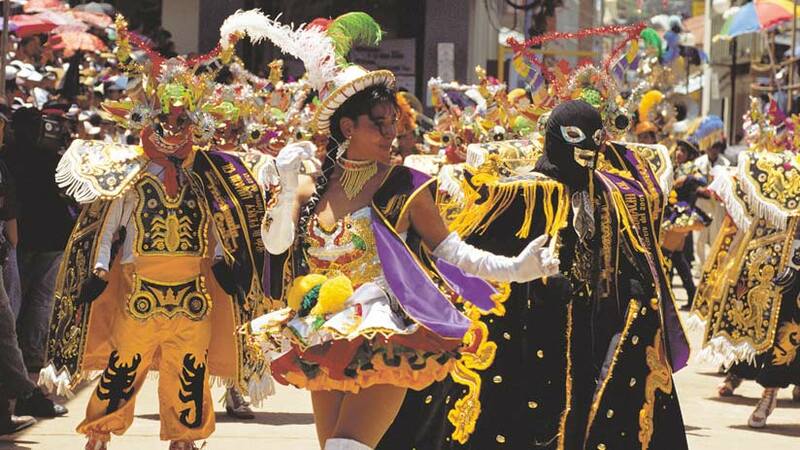 In February every year in most parts of Peru is Carnival, which is the most colorful and playful month of the year. The locals celebrate Carnival and the month of February with water fights usually featuring balloons filled with water thrown at passing people. The highlands celebrate with water also but on the weekends, it is not uncommon to see parks filled with people celebrating with food, alcohol and dancing. Another custom in Carnival is to fill a tree with presents and the child have to knock them down with sticks, this causes mayhem and is lots of fun. If you love to party then you must be in Peru for New Year’s Eve, especially in Cusco where the main square is full of partygoers and the night sky is filled with colorful fireworks. Dance the night away in one of the many nightclubs. In Lima, the areas of Los Olivos and Barranco are recommended to pass the night away. 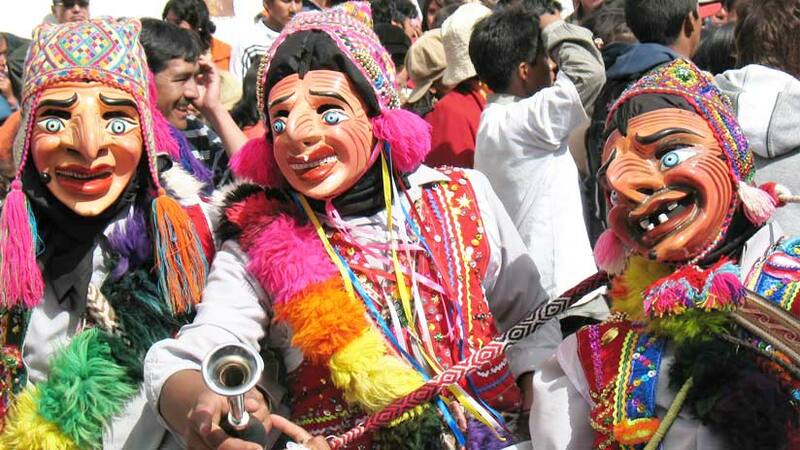 In February in Southern Peru especially in Puno on the shores of Lake Titicaca is celebrated the Virgen de Candelaria, considered the greatest festival in Southern Peru. Beginning every year on February 2 there are parades, colorful costumes, music and a lot of drinking and celebrating. The local people and tourists gather to celebrate the mix of native and Catholic religious ceremonies before the start of the party. 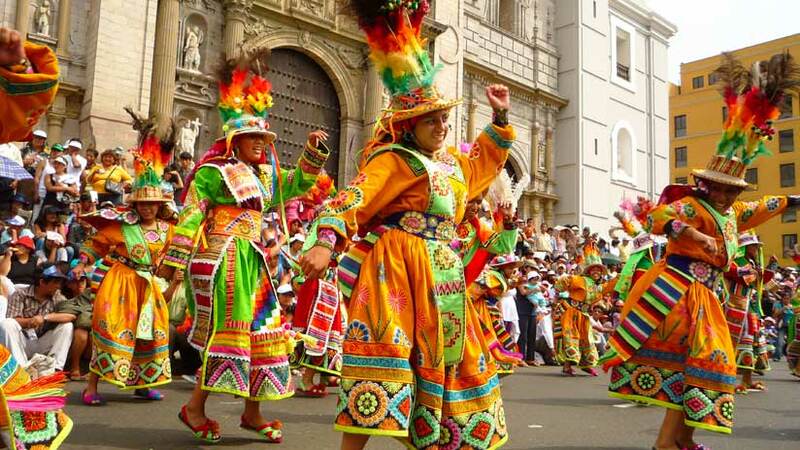 Candelaria is the center of the celebrations but the festival is also associated with the lake and the birth of the Inca Empire and Pachamama, everyone dances in her honor to show their devotions and to give thanks for their lives and their blessing. The whole festival ends with the beginning of Carnival. 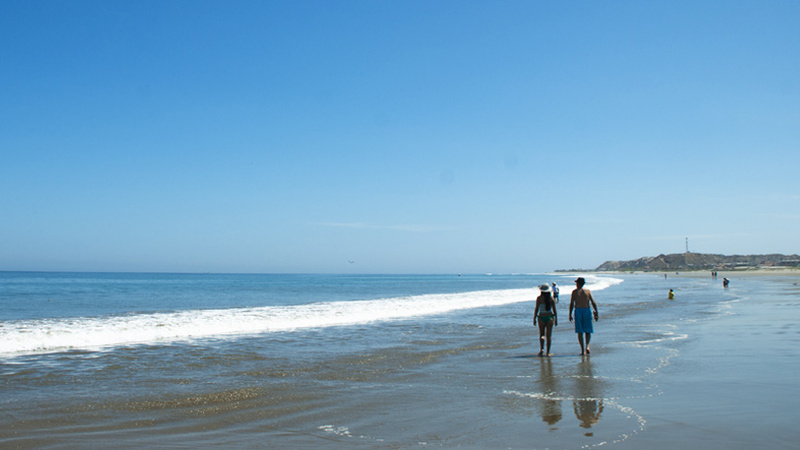 In northern Peru, you have many great beaches to spend a week or so relaxing. The weather will be hot and sticky, perfect to pass a great beach holiday. On the north coast towns like Mancora offer white sandy beaches and many different types of accommodation to choose from. Further north from Mancora is Punta Sal, which also offers beautiful beaches and where you can drink Pisco Sours on the beach. South of Lima, where the people of Lima head in the summer is Punta Hermosa or Puerto Viejo to cool off in the summer months. The long coastline in Peru gives you many choices for a beach holiday, so take advantage of the many different beach resorts. 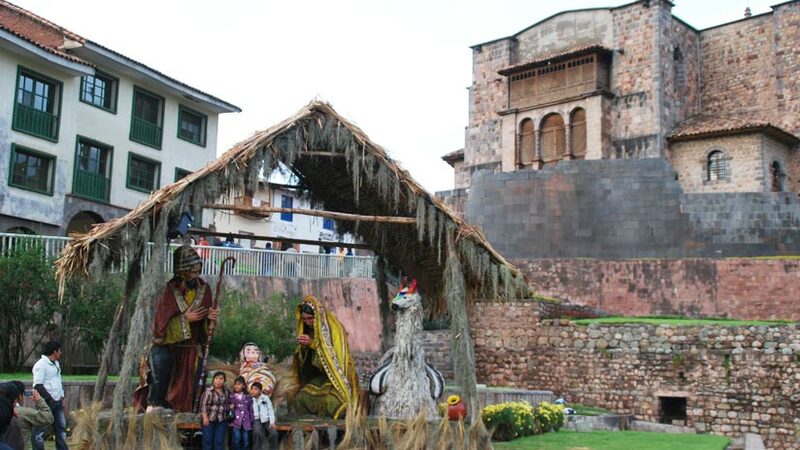 Christmas in Peru is a religious affair in most major cities; the main celebration is on Christmas Eve where most families celebrate with a dinner to celebrate the birth of Christ. In most main plazas there will be a fireworks display and celebrations. Hot Chocolate and Panatone will be served and the celebrations will last most of the night. As you can see, the winter is a perfect time to travel to Peru with lower prices offered on tours and great discounts on hotel rooms, with companies trying to fill rooms. Look on line at the hotel websites for discounts and search for Peru travel packages. Peru tourism is alive and waiting for you all year round but the advantages in winter are many so why not take a trip to Peru and discover all that Peru has to offer. Travel To Peru festivities, traditions. permalink.